Summer cooking often incorporates some form of grilling, whether it's for you and your family or for a much larger gathering, such as a family reunion. Martha has been keen on grilling lately and brings us three new ventures that have us excited about firing up the Bar-B! The first is a partnership with Martha's favourite butcher, Pat LaFreida Jr. who runs Pat LaFreida Meat Purveyors in New York City. Martha and Pat have created the "Ultimate Grilling Pack" which can be ordered through Pat's website and delivered right to your door. The pack includes Martha's personal selections, including four dry-aged USDA prime Angus bone-in New York strip steaks, center cut-30 Days-1.0" thick (11 - 13 oz), four Original Blend hamburger patties (6 oz each, 1.5 pounds total), a package of six Pat LaFreida all-beef hot dogs and a container of Martha's signature herb butter, which can be used on the steaks or the burgers. The total for the package is $159. Click here to learn more, including the packing and shipping methods. 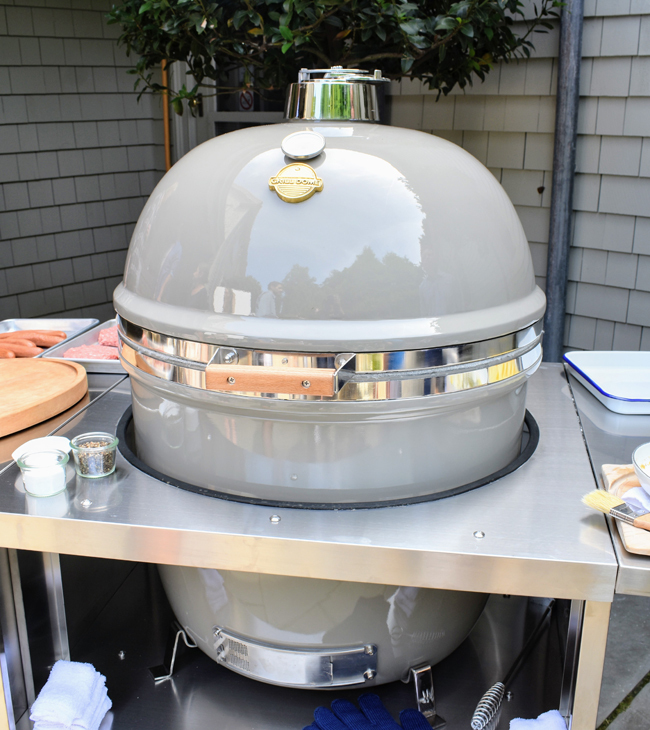 Martha also recently purchased a new grill for her farm in Bedford, New York: a Grill Dome made by Southern Botanical, a Texas-based company. The colour of the Grill Dome can be customized and, of course, Martha chose a subtle gray to match the buildings at her farm. Martha was so enamoured of the design that she featured the grill on her latest Facebook Live video, where she demonstrated grilling techniques using meats from the aforementioned Ultimate Grilling Pack with Pat LaFreida. Here is Martha with CEO of Southern Botanical, Jason Craven, who showed Martha how to use the grill in her live video. The third bit of Martha + grilling news is the announcement of a new book on grilling coming out next spring. 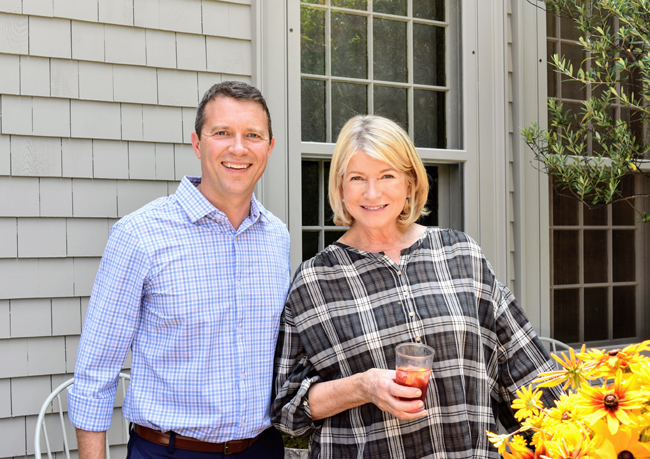 Martha Stewart's Grilling will be published March 26, 2019. It will feature 125 recipes "for gatherings large and small." While there is no cover yet, the book's description has been issued by the publishers. You can read it below. You can preorder the book by clicking on the highlighted link above. "There's nothing like the satisfaction of cooking over a live fire, whether a weeknight meal or outdoor entertaining. 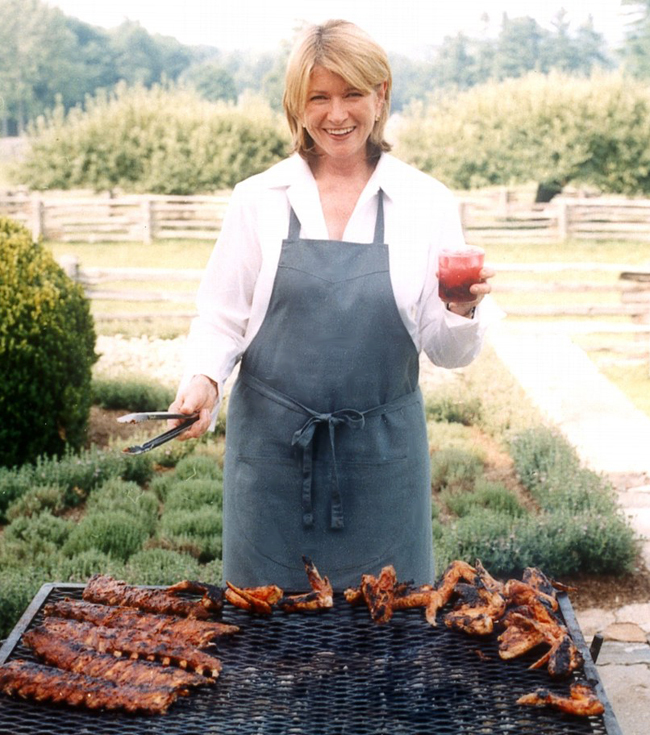 Martha Stewart's Grilling captures this spirit, while providing essential tips and techniques for both experienced outdoor cooks and those brand-new to the grill. Longtime favorites like pulled-pork sandwiches and bacon-and-turkey burgers are alongside foolproof dishes such as Korean short ribs and mojo-marinated shrimp. Crowd-pleasing appetizers, burgers, tacos, and kebabs join colorful cocktails to allow for easy entertaining, while smart strategies make grilled classics like pork chops and butterflied whole chicken a snap. Friends and family alike will love diving right into beautiful platters of grilled meats and vegetables, followed by grilled or chilled sweet treats--the perfect ending to a simply delectable meal."